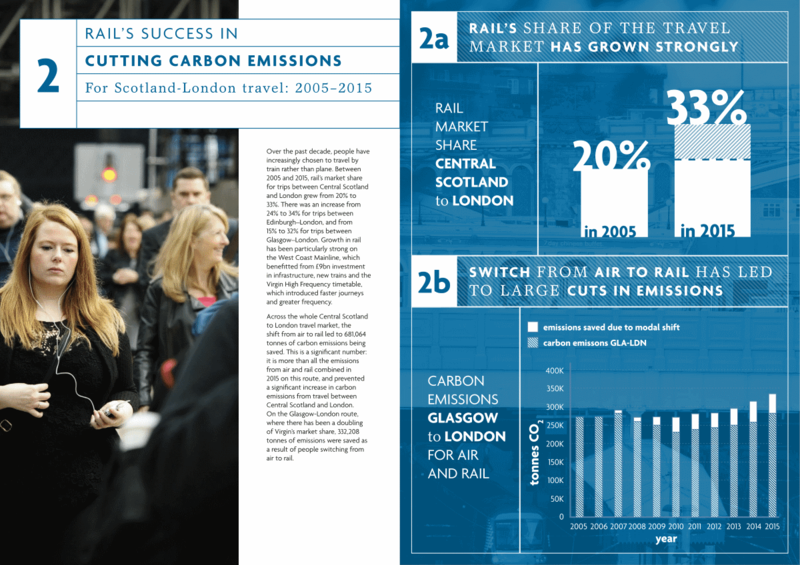 Research from Transform Scotland and supported by Virgin Trains shows that a ‘shift from air to rail has cut carbon in the Scotland – London travel market’. 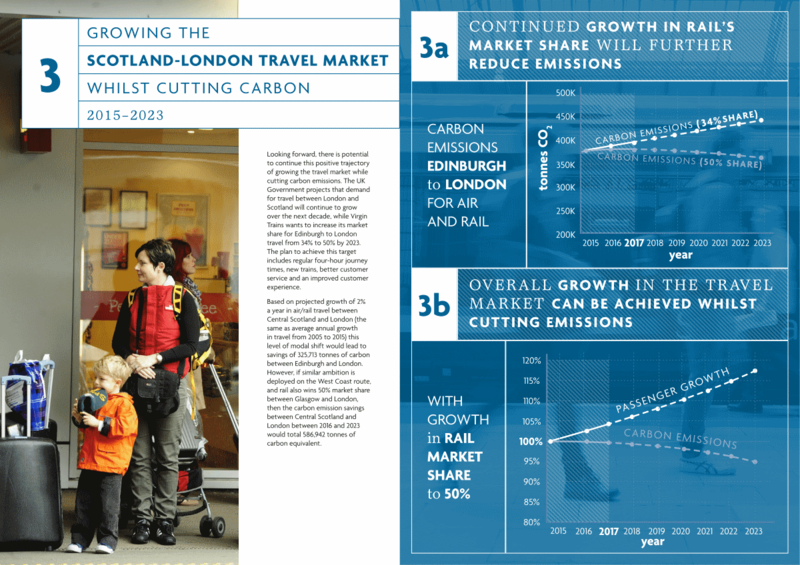 Since the emissions arising from travel between London and Scotland’s central belt are a vanishingly small proportion of the UK total, one might wonder how important these ‘findings’ were. That is, if the report actually bothered to explain how any of its conclusions and ‘recommendations’ were arrived at. 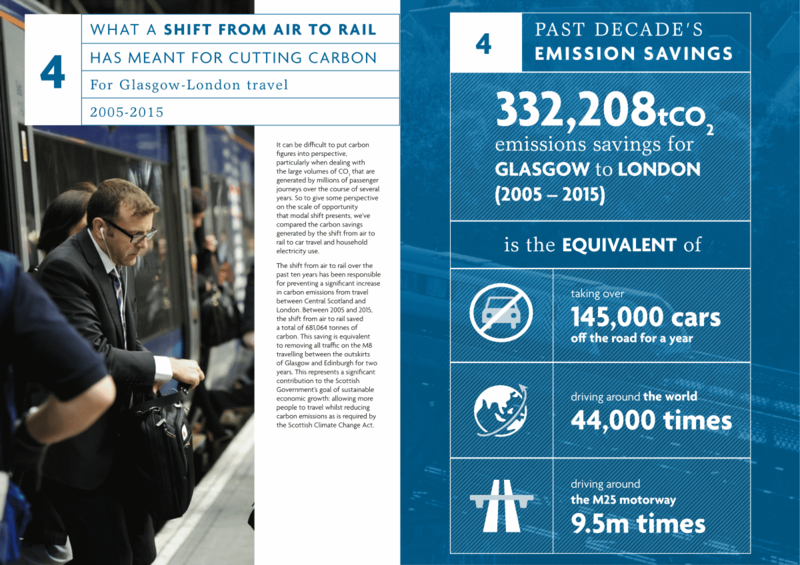 But there is no way of checking the figures, and no information on the number of flights in 2005 and 2015, or the types of aircraft used, or the total train energy kWh for a London – Glasgow journey, etc. The addition of classic by-passes for HS2, or HS2 new-build track to Anglo-Scottish West Coast Main Line capacity could provide more freight paths, subject to compatibility with classic passenger services, HS2 Ltd’s “Broad Options” report proclaimed. […] The additional paths which are taken up by freight, which would otherwise have been transported by road, could provide environmental and decongestion benefits. To give a sense of scale, preliminary analysis (using DfT’s marginal external cost approach and a series of assumptions) shows that an additional freight path between Preston and Carstairs (every haulage day in one direction) could generate approximately £20 million (PV) in benefits over the appraisal. Further analysis would be needed to understand all potential benefits. Not £20 million a year, but £20 million PV. So the present value of an additional daily ‘released’ railfreight path between Preston and Carstairs is, at best, about 0.01% of the cost of the enabling infrastructure. And if the enabling infrastructure is ‘new line’, not ‘by-pass’, the present value of a freight path is more like 0.005% of its cost. Three-hour Scotland to London rail journeys are “on track”, according to the Department for Transport, High Speed Two (HS2) Limited and Robert Goodwill MP. Work with the ultimate aim to deliver a 3-hour rail journey time between Scotland and London will get underway next year. This comes alongside publication of the HS2 Ltd report Broad options for upgraded and high speed railways to the North of England and Scotland, which was welcomed today (21 March 2016) by Scottish government Infrastructure Secretary Keith Brown and Robert Goodwill, UK government minister responsible for high speed rail, at a reception in Edinburgh’s Waverley Station. 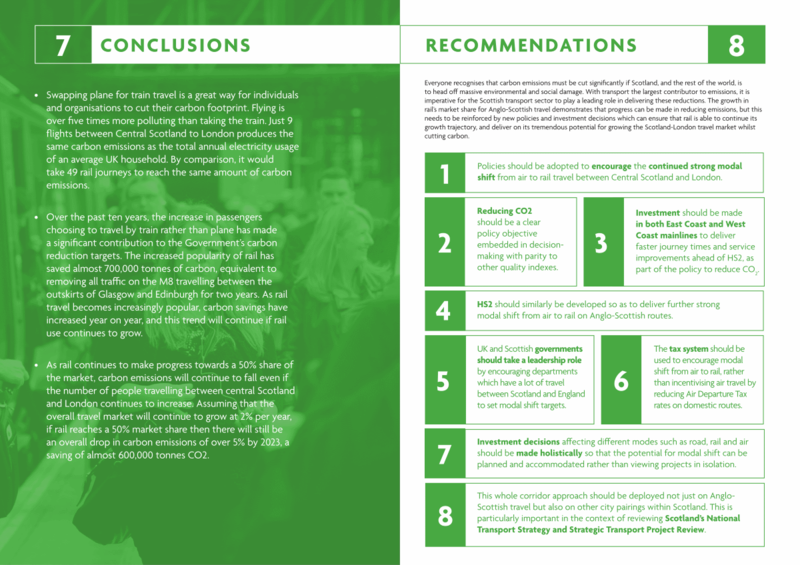 The report, jointly commissioned by the 2 governments, considers various options including upgrades or new routes to deliver the 3-hour journey time. Work is now planned to be carried out in 2017 to identify options with the best business case for implementation from 2019 onwards. 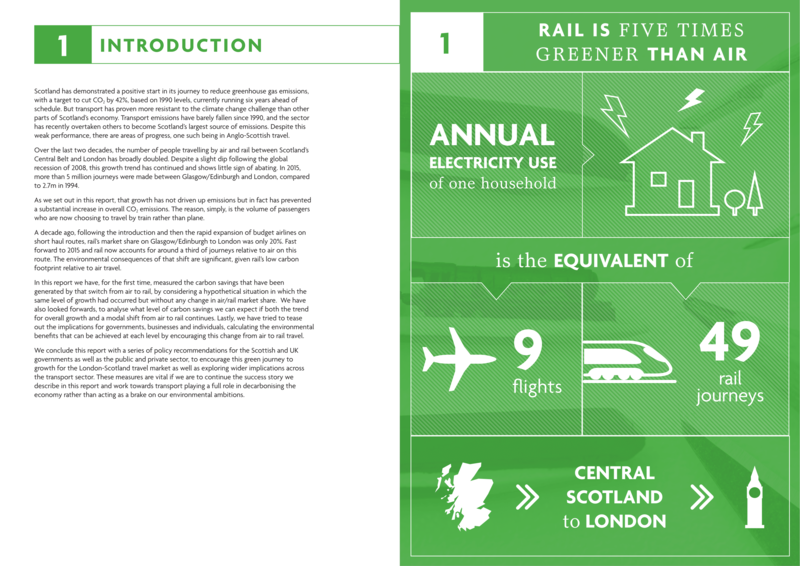 “This report is a major milestone in the campaign to deliver high speed rail to Scotland and marks the beginning of the next chapter in the tale. I now have a firm commitment that development work will begin during the current control period towards getting journey times between Scotland and London down to 3 hours or less. High speed rail will bring billions of pounds worth of benefit to Scotland’s economy and an infrastructure project of this magnitude – possibly the biggest Scotland’s ever seen – means jobs, investment, benefits for the economy and benefits for the environment. ‘On track, like heck’. All Mr Brown has, are some weasel words… “a firm commitment that development work will begin during the current control period towards getting journey times between Scotland and London down to 3 hours or less”. More bad news for Mr Brown appeared in the March 2016 High Speed Scotland Summary Report. 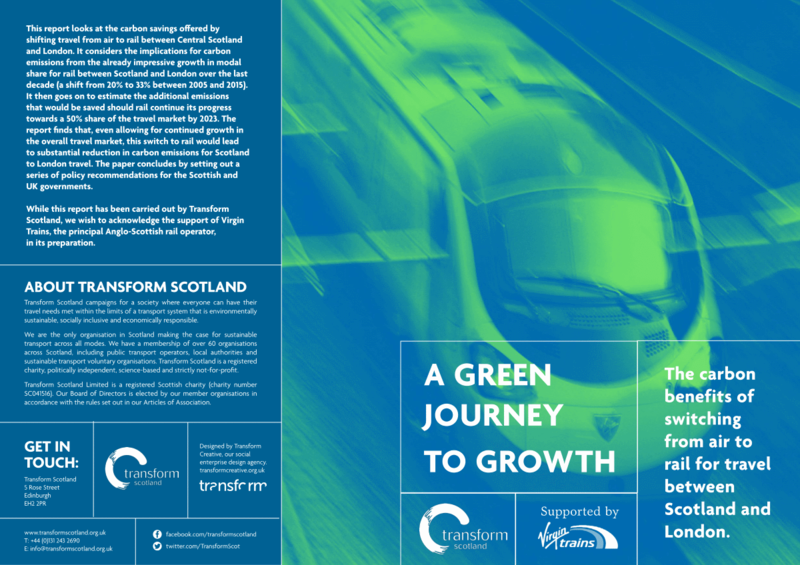 Despite concerted attempts to massage the figures upwards, it is clear that the Scottish government’s cherished Edinburgh-to-Glasgow high speed concept is an economic lemon, with a sub-unity benefit-cost ratio. And one might well ask, why has only the Summary Report been published? The Broad Options report on Anglo-Scottish high speed rail concentrates on upgrade-based approaches rather than new build, but there is no mention of value for money for any of the options. Nevertheless, the cost estimates given in the report suggest that the benefit-cost ratio in all cases is too low to print. 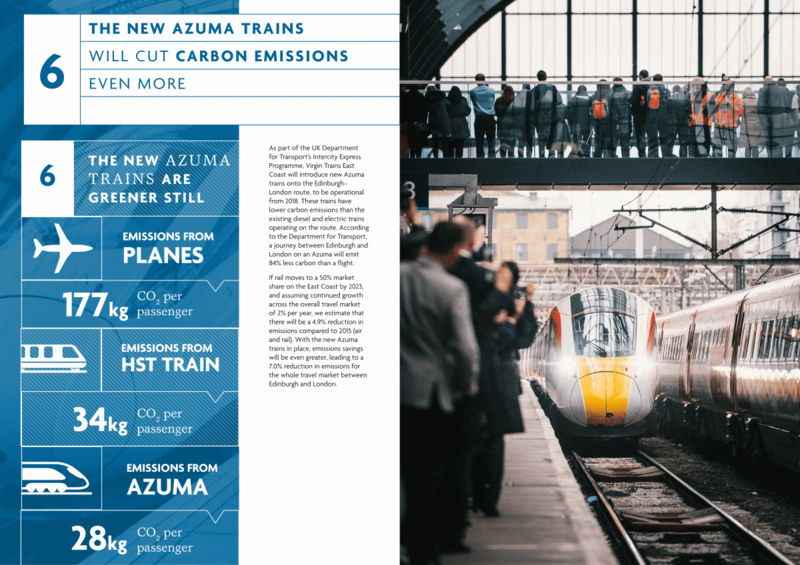 The numbers in Broad Options pour freezing cold water on Transport Scotland’s December 2011 Fast Track Scotland report, and on Network Rail’s claim that ‘extending HS2 to Scotland would improve its benefit-cost ratio’. A number of continuous high speed routes were developed to assess the viability and performance of a high speed route. • Route A – a route following the West Coast Main Line, M6, A74M corridor which splits near Carstairs to serve both Edinburgh and Glasgow. • Route B – a route following the A1M to Newcastle and the A697 corridor to the border, where it runs through the Lammermuir Hill, to approach Edinburgh from the east. • Route C – a route following the East Coast Main Line corridor east of Newcastle and along the coast to Edinburgh. • Route D – a route following the A1M to Newcastle and through the Southern Uplands, where it splits to serve Glasgow and Edinburgh. The cost of Route A is an estimated £32 billion – £34 billion, which excludes the cost of a high speed route between Edinburgh and Glasgow. The estimated cost of Route B is £27 billion – £29 billion, which excludes the cost of a high speed route between Edinburgh and Glasgow. The cost of Route C is an estimated £28 billion – £30 billion, which excludes the cost of a high speed route between Edinburgh and Glasgow. The cost of Route D is an estimated £41 billion – £43 billion, which excludes the cost of a high speed route between Edinburgh and Glasgow. HS2 trains operating on the route north of Phase Two would be classic-compatible. 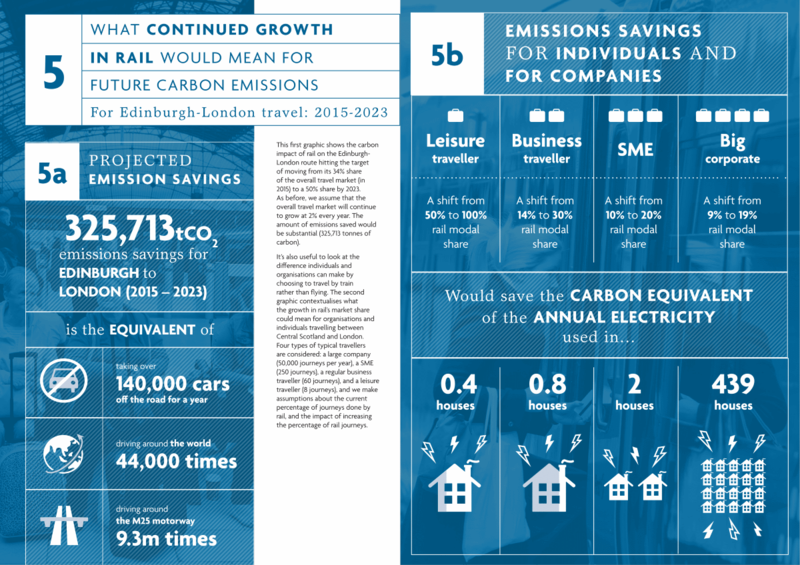 This is necessary even for continuous high speed routes, as they are developed on the basis of running on the existing conventional lines during the last few miles into Edinburgh and Glasgow stations, as per the Transport Scotland proposal. Edinburgh councillors and officials are planning a tour of tram projects around the UK “to learn from their experience”, reported The Scotsman’s Ian Swanson (Friday, 22 February 2013). Up to nine elected representatives and officials from the Capital will travel to Manchester, Nottingham and Dublin to see what lessons can be learned from cities which appear to have made a success of trams. Sheffield and Luton may also be included. The city council’s policy and strategy committee will be asked next week to approve the trips. It said the visits, expected to take place in March and April, would include the transport convener and vice-convener, the tram media manager and “up to two other appropriate officers”, with the tram manager also expected to go and opposition transport spokespeople to be invited. But opposition politicians voiced scepticism about a “grand tour” which could be viewed by the public as “jollies”. It’s far too late in the day for this type of visit to be any use. The die is cast. The key issue for Britain’s HS2 high speed rail project is the speed at which trains run. So said Lord Adonis, then UK Secretary of State for Transport, in 2009 (reported Damien Henderson in Scotland’s Herald Newspaper, on 30 December 2009). One of the key architects of the UK’s new high-speed rail network has warned that ministers must limit the number of cities included and face down powerful local lobby groups or risk building an ineffective “medium-speed” railway. Sir David Rowlands, chair of High Speed Two (HS2), the Government-commissioned company drawing up plans for the multi-billion pound network, signalled a tough political battle ahead in deciding which cities would be included in the route. But he warned there were powerful interest groups forming which could potentially derail its potential. “There are a lot of local interest groups who want to be included in a high-speed network. If we’re not careful we could end up with a medium-speed network which doesn’t fulfil what it’s set out to do,” he told The Herald. But arguments about capping the number of stops en route to Scotland are likely to dominate the forthcoming decade. While journey times between Glasgow and Edinburgh to London could be cut to less than three hours, any additional stops would add 10 minutes on to the journey time, Sir David warned. Sources at HS2 said there was a mismatch between the number of cities pushing for inclusion and those that had a high enough population density to justify a stop. Carlisle, in particular, has seen a vocal campaign but is at the centre of one of the most sparsely populated areas. Iain Coucher, chief executive of Network Rail, has sought to dampen expectations of how many cities could be included. “Our experiences and the experience around the world is that you should put at least 100 miles between stations,” he told New Civil Engineer earlier this year. The formula developed by Network Rail, which has conducted its own 12-month study into high-speed rail options, would raise questions about a route which included Manchester, Preston and Carlisle along the west coast, or Sheffield, Leeds and Newcastle on an east coast route. In Germany, local authorities have used their planning powers to force stations to be built along high-speed lines. Unlike France’s network, which runs only high-speed passenger trains, Germany allows slow trains and freight trains to use the network. Another option is to build a spur connecting the main line to a city station so that some trains can pass by on a limited stop service. But those drawing up detailed plans for the network are understood to be against including too many spurs as this would reduce the number of trains operating per hour and damage the attractiveness of the service.